Hello everyone! 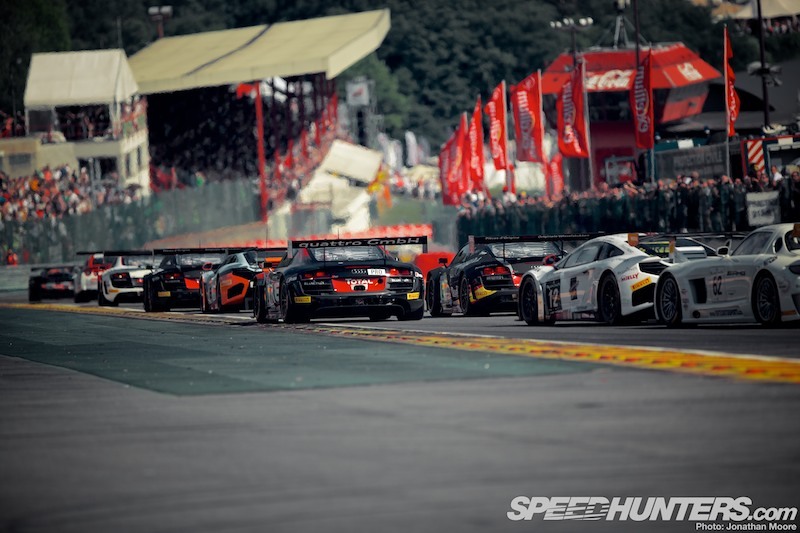 So, the Spa 24 Hours: the highlight of the Blancpain Endurance Series calendar. 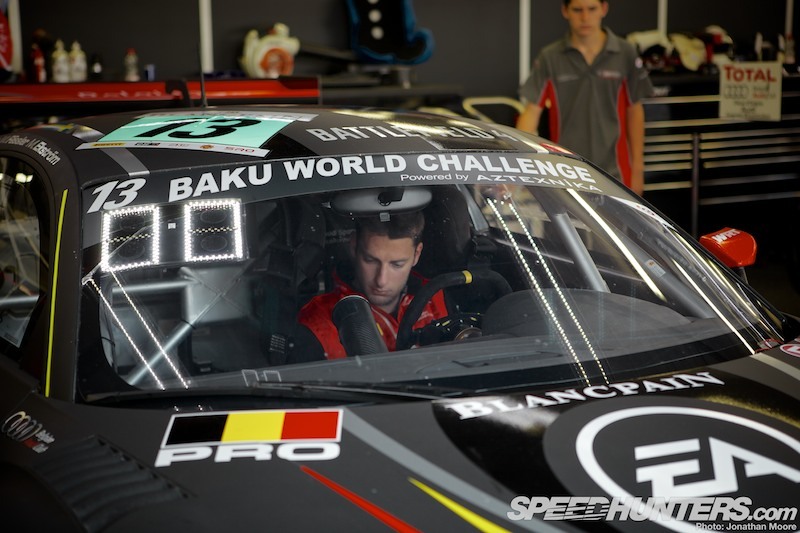 This year it’s been more or less all about racing – I’ve had a hectic year with the FIA GT and Blancpain Endurance Series. In the week before the 24 Hours I had my brother with his family visit me in Switzerland, which was a nice break from racing. 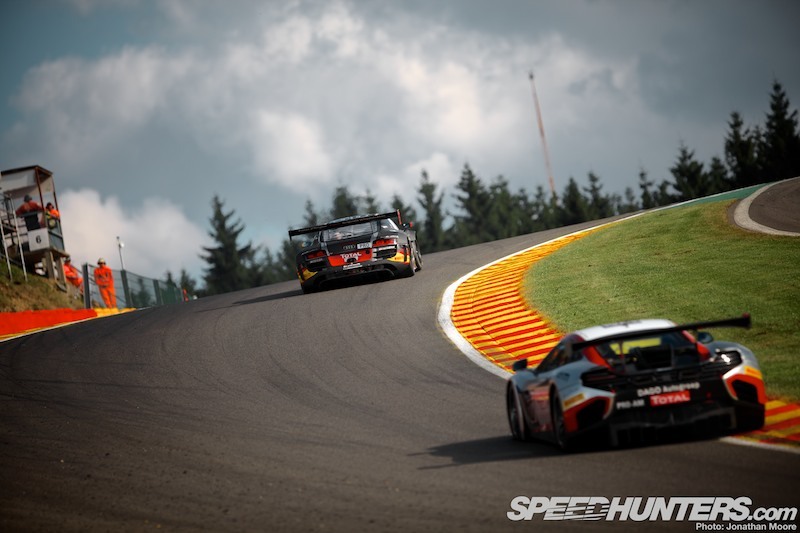 But of course, Spa was one of the major focus points of the year, so I’d been putting a lot of preparation in. 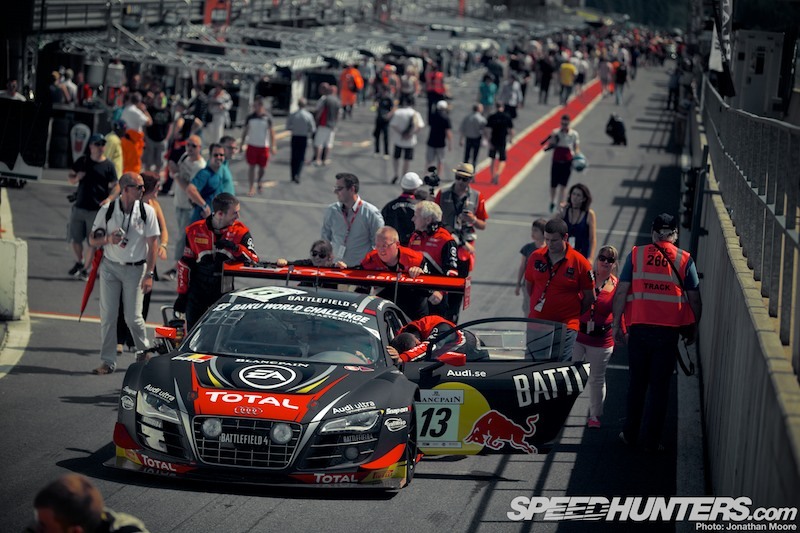 This year’s Spa 24 Hours was a chance to drive with my great friend Mattias Ekström. How do I know him? This part could be very, very long, because we’ve actually known each other since we were 15 years old. The first time I met him was at the Swedish race track of Kinnekulle when we raced against each other in a one-make cup with Renault 5 cars for juniors. He always sealed his car’s bonnet with a padlock overnight, which says a lot of how Mattias is. 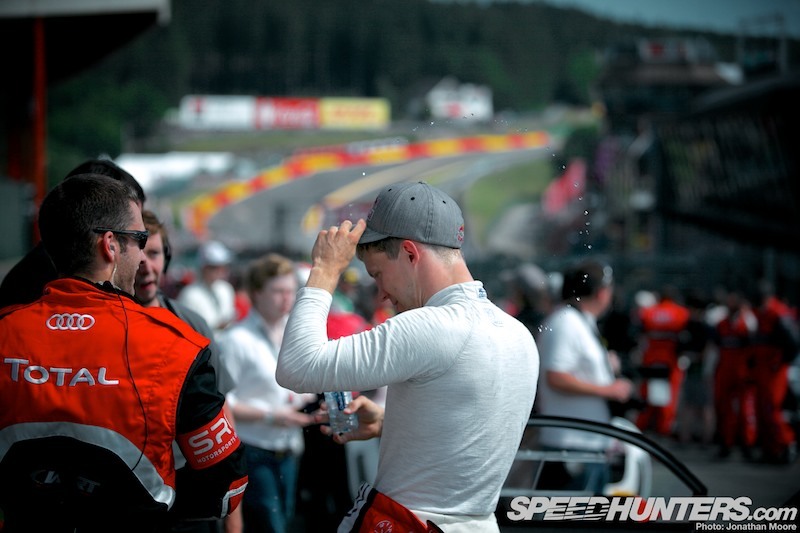 As we share such a big passion for motorsport it was crazy-fun to have him onboard in the WRT Audi R8 LMS ultra for Spa. 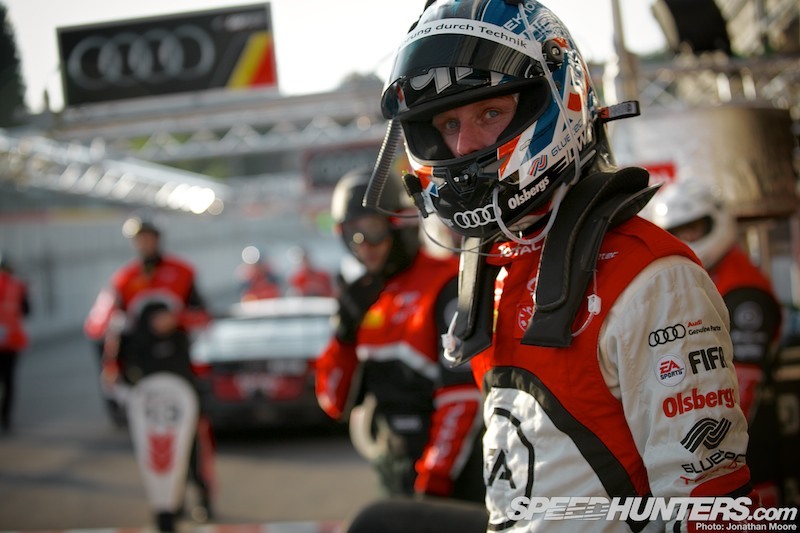 It was off the back of what I think was his best ever DTM race at Norisring, which was perfectly executed and showed all ingredients that he has as a driver. 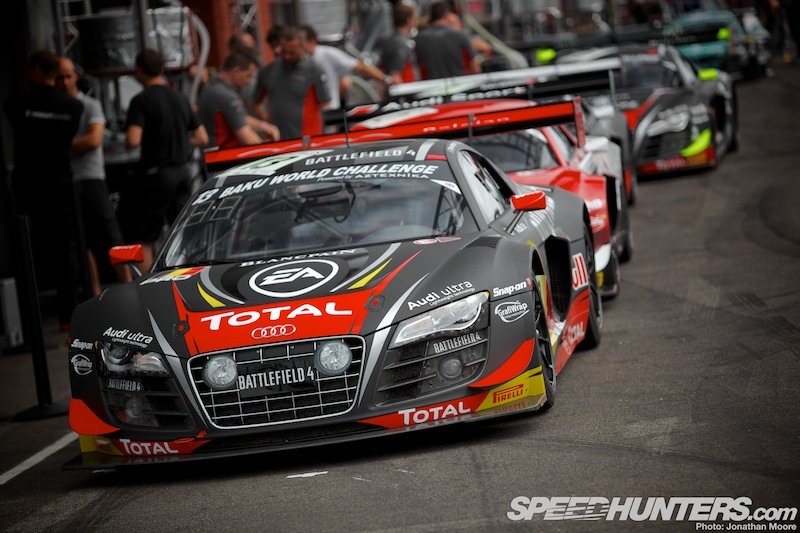 The WRT really expanded for the Spa and it was obviously a very important race for the team being home territory. 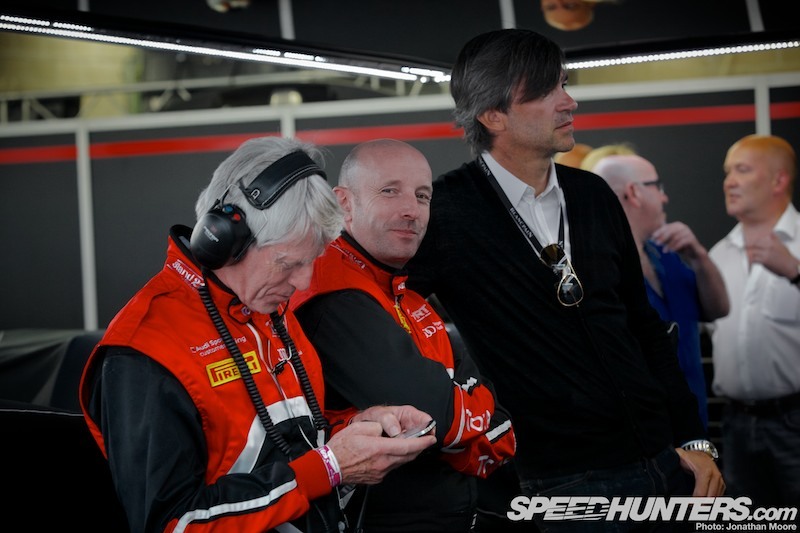 Vincent Vosse, our team manager, lives only kilometers from the track. He’s very passionate about this race and had been very successful himself in the race, winning in 2002 in a Dodge Viper. Running four cars takes a lot of planning. It was a huge effort for the team as the infrastructure to run three cars is already big, so four is huge. But I must say they did it very well and all parts were as always well prepared. The amount of money spent on this race is better to not think about. Each car had a dedicated rack at the back of the garage with brake disks and pads and other consumables, plus drivers’ equipment like seat inserts and so on. Larger spares like gearboxes were then kept together in another area. Everything must be well organised for a 24-hour race. We had all the spares that you can change, but it’s always the chassis that sets the limit for what’s reparable. If that gets damaged it’s often end of story. 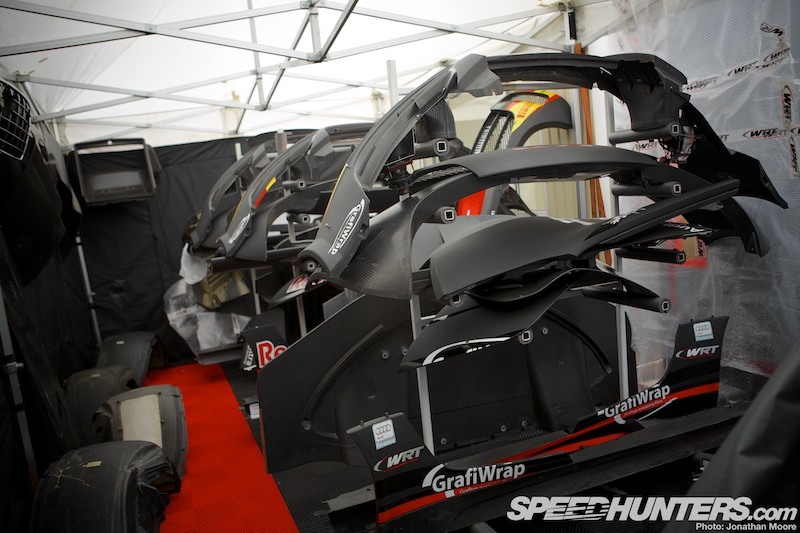 But although you have to prepare all this, the aim is to do the race without needing any of it of course. Fuel, tyres and brakes is always the plan. 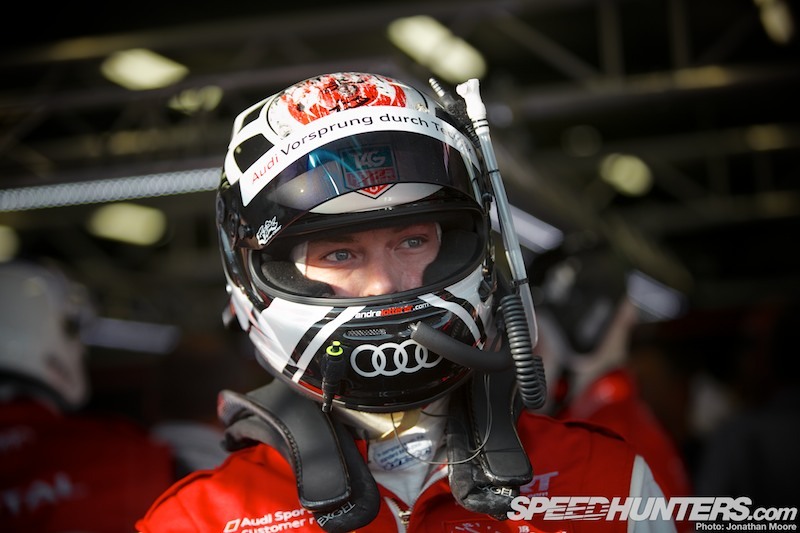 We had several other new drivers join the team as well, with Marcel Fässler with me and Mattias in #13, and André Lotterer on the squad for #2. You tend to stick to just your teammates, otherwise the operation gets too big. 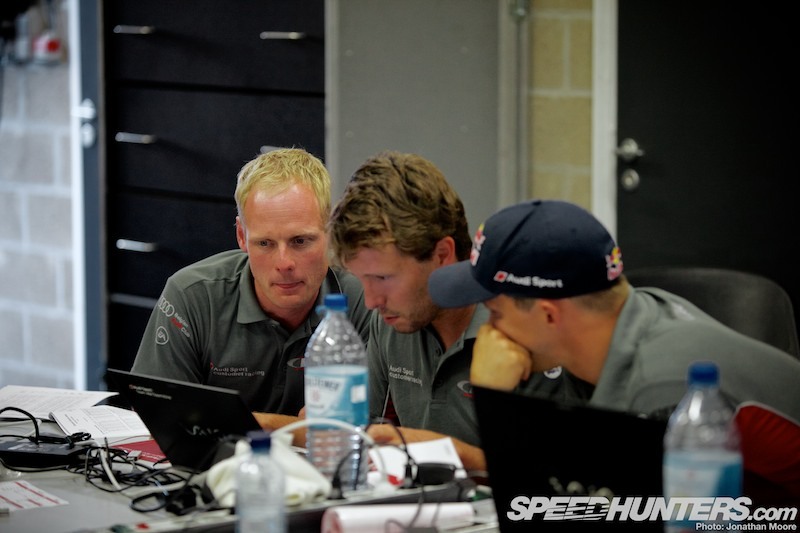 But the engineers share a lot of information and we can also split the test work between the cars. The preparation time before the race is very limited so you’ve got to have a good plan. 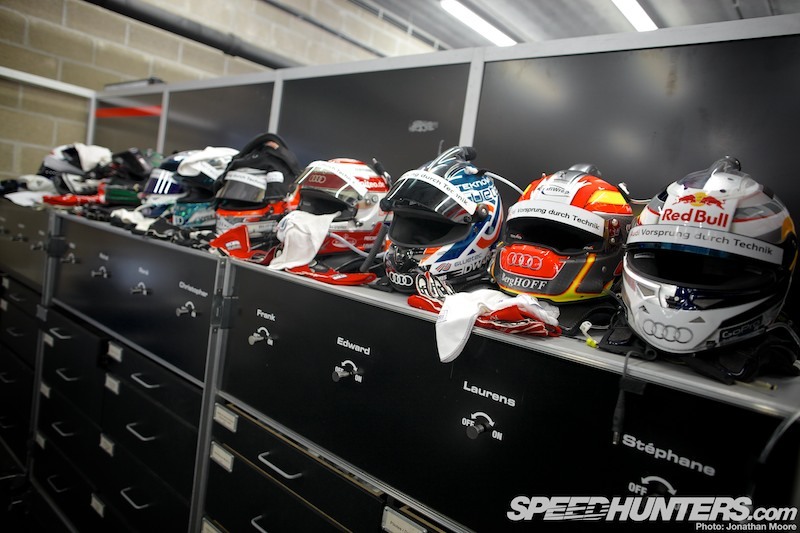 I’m using a Schuberth helmet this year and here I was discussing helmets with the other drivers before the race. 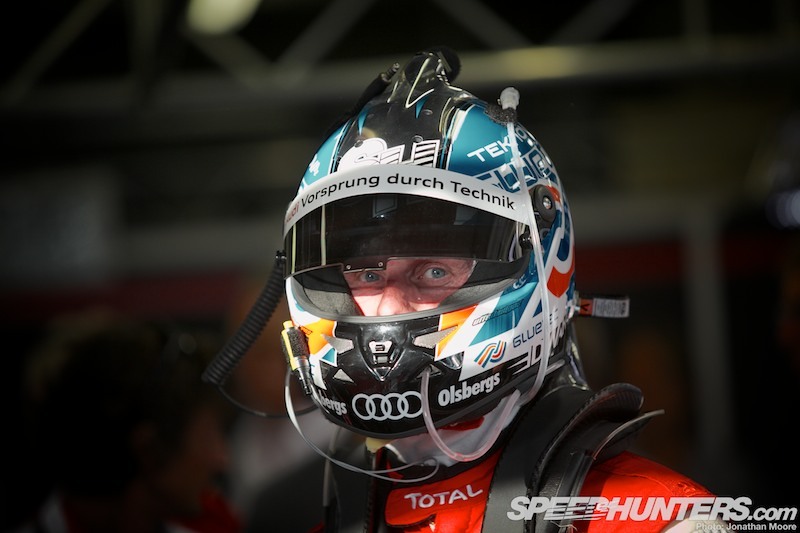 I think this was all about weight: Nicki (Mayr-Meinhof, #0) had received his new helmet from Stilo. They’re very light, though Schuberth are as well. Rahel Frey (also driving in #0) had also received her helmet from Schuberth, but she’s got a very small head and therefore the weight is even less. So the conclusion is, small head, short neck, then you go racing. Though I’m the opposite! So, this was where I’d be at work during the week. The setup is a bit different for the 24 Hours. The most important part is to find out if the car touches too much in Eau Rouge, which creates a big compression in the suspension. 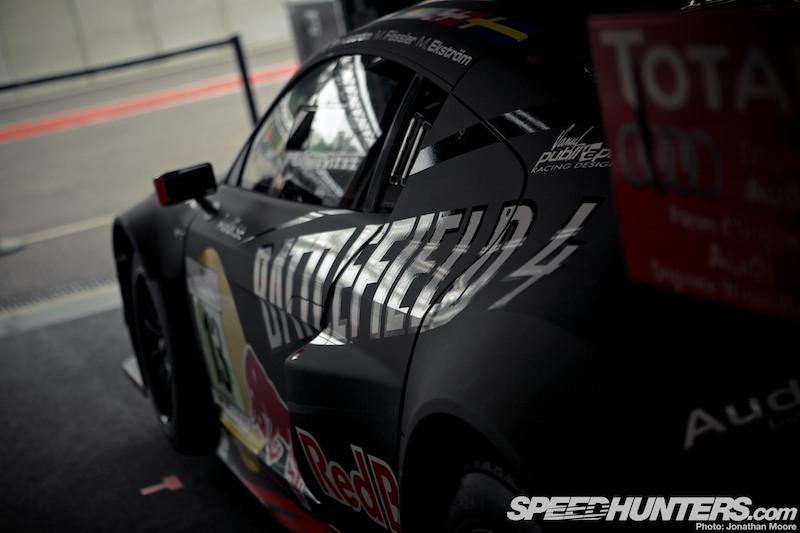 The Nürburgring is a bit different as you jump around much more and this makes the touching even more aggressive, so you’ve got to be even more careful there to make the car last for 24 hours. We use small metal skid blocks which shows the wear. If there’s too much you can get damage on the splitter and it takes too much time to change, as there are eight bolts keeping it in place. 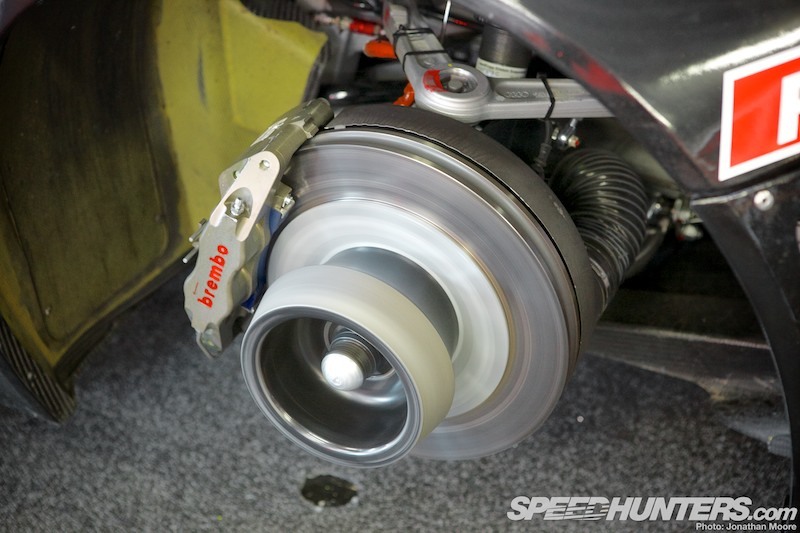 We weren’t expecting any major problems with brakes, and only planned one pad change during the race. Lucas from Endless is always showing up to help us when it’s time for a 24 hours race. He’s from Sweden, which is good for me. I liked the number panels: they really helped the spectators, as it can be hard for the spectators without live timing to know the position. So to show it there was brilliant. That together with illuminated plates helped a lot. As long as the electrics don’t have a problem… I saw one car in Dubai where the illuminated panel shorted and the door caught on fire! It would be crazy if your race ended because of that. But this year the most crazy thing during the 24 Hours was the fire extinguisher in the Marc VDS #3 that exploded. Luckily Maxime Martin didn’t get hit by something. But everything can happen that’s for sure. 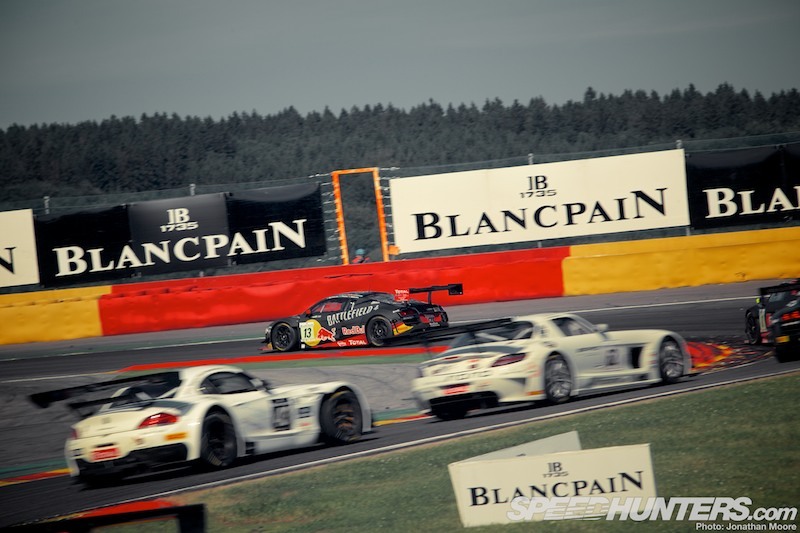 I’m normally not a fan of complaining about BoP [Balance of Performance], and actually last year in Blancpain the BoP was the best I’ve experienced so far in my career. It was at this time managed by SRO’s Claude Surmont. Everything worked fine. I never felt we’d too good BoP, but also not too bad. It was a good balance. And when a change was required it happened fast. This year it’s again done by FIA and everything has got too complicated and the reaction too slow. 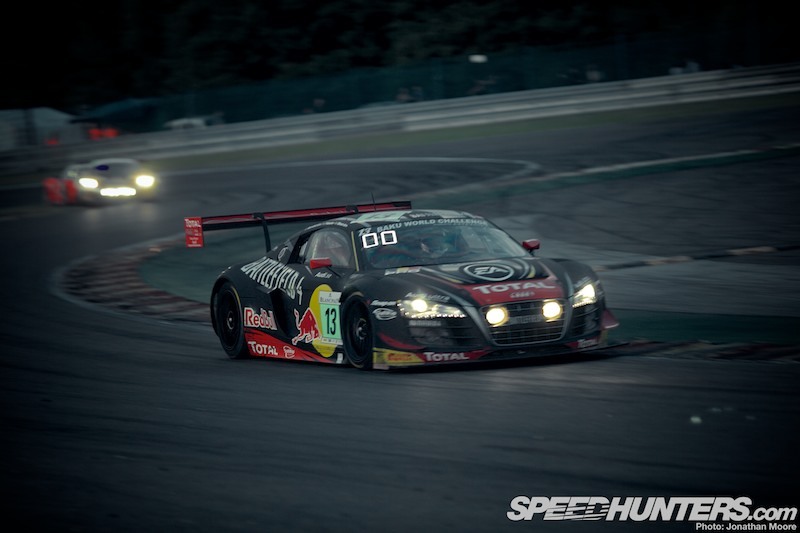 For me it was clear already at Paul Ricard that the Audi R8 LMS ultra was very much too slow in acceleration. 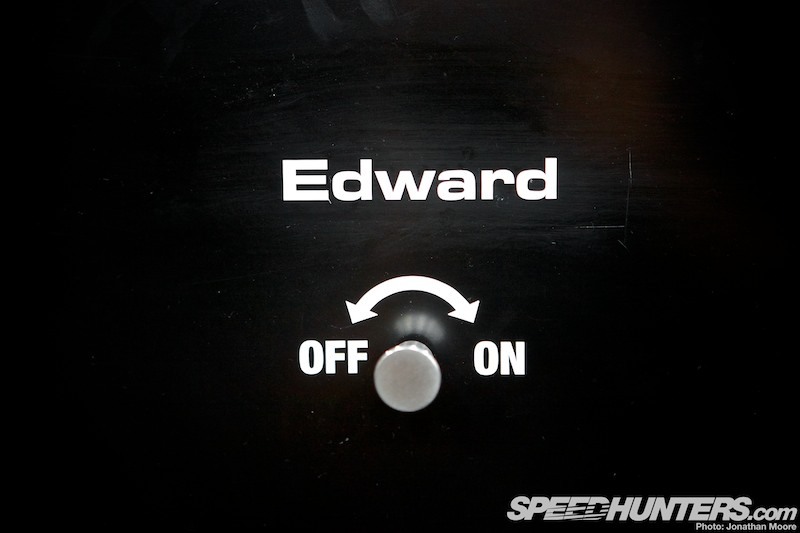 Sometimes it feels too political, and that it’s between the FIA and the manufactures. 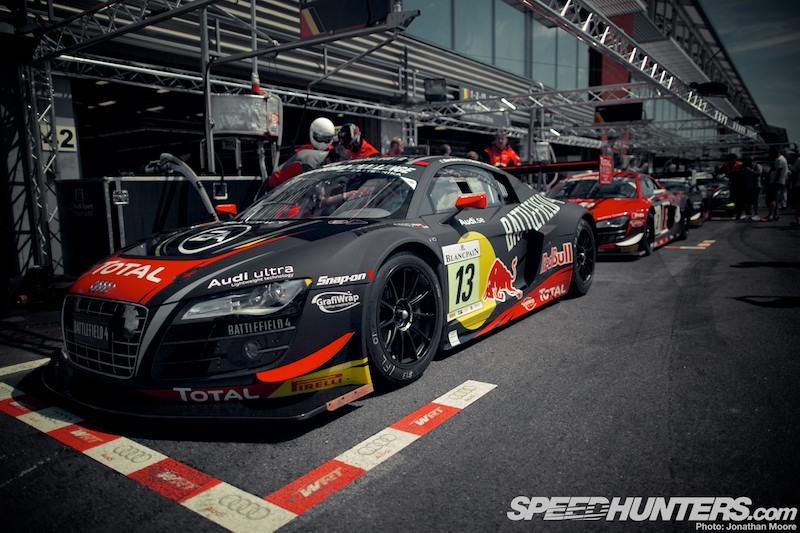 In the end it’s sponsors who pay the bills, and when they feel badly treated then a brilliant racing series like Blancpain Endurance Series is, will suffer badly from this kind of politics. On Wednesday afternoon we had the driver parade. 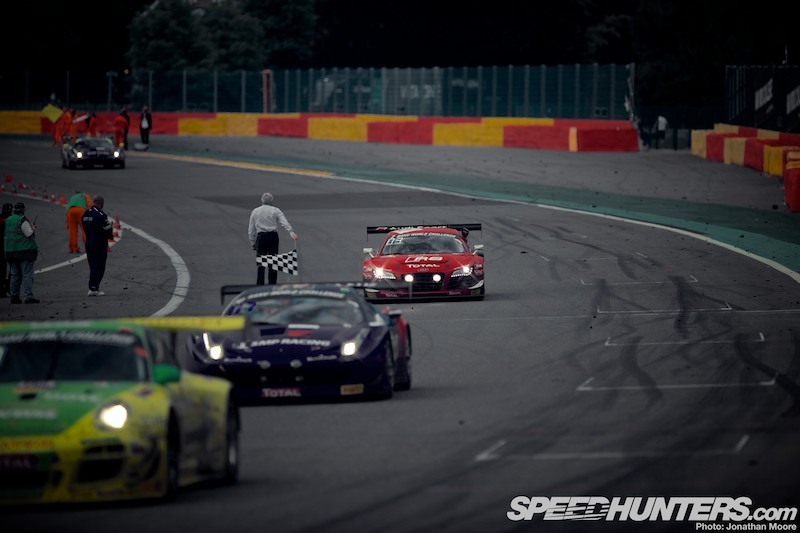 It’s a great thing for the great audience at Spa, but to drive on normal roads isn’t so special. But yes, you discover bumps that you never would do with your road car. The most important thing is to give something back to the fans and they seem to like it. 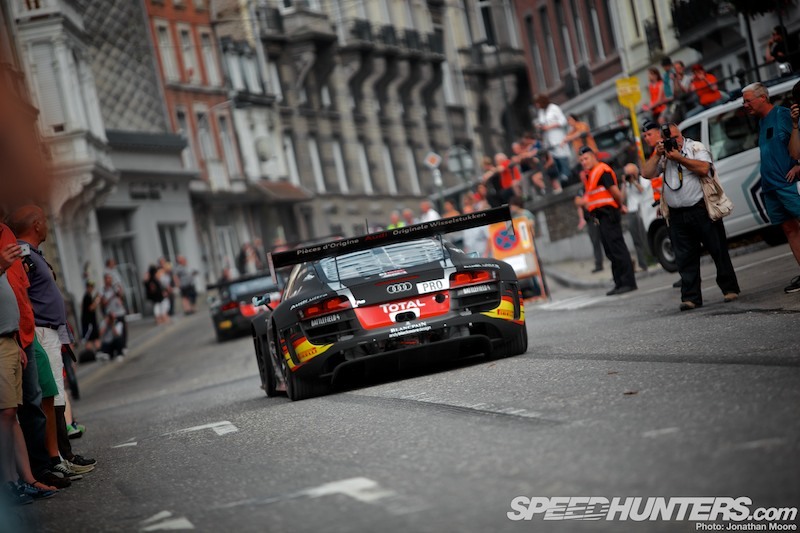 I think Spa 24 Hours will even grow more if they find ways to attract a lot of spectators, and the parade definitely does that. It’s amazing in the town. Every year more and more people come to see the spectacle, and then they can get right up close to both drivers and cars. People want you to autograph all sorts of things. Mattias even signed the odd arm or two! It must be great for the fans to hear all different engines from V8s to V12s passing by. It seemed like a sea of cameras with people filming and takes pictures. It would had been a dream for me as a kid to see all these racing cars passing by. Reality hit on Thursday with the first Free Practice session. 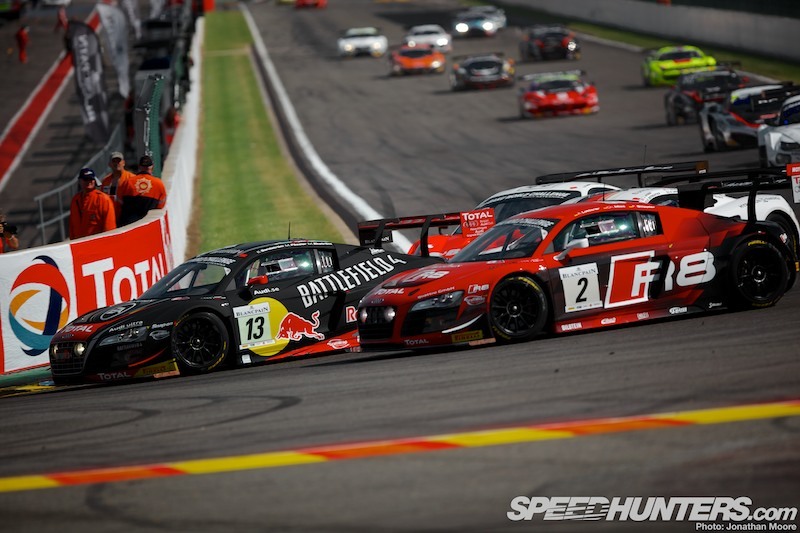 The #84 HTP SLS was quickest, and the Phoenix Audis were both in the top 12, but the fastest WRT R8, the #1 car, was in 15th. We were 21st, almost two seconds off the pole. But it was no surprise at all, as we didn’t use any new tyres in this session. We worked on the setup and it was quite good in the end. From the start we knew we had to focus on pace over the distance. On one-lap performance we wouldn’t have a chance. Still, I think all the others did the same as it’s what the race is about. 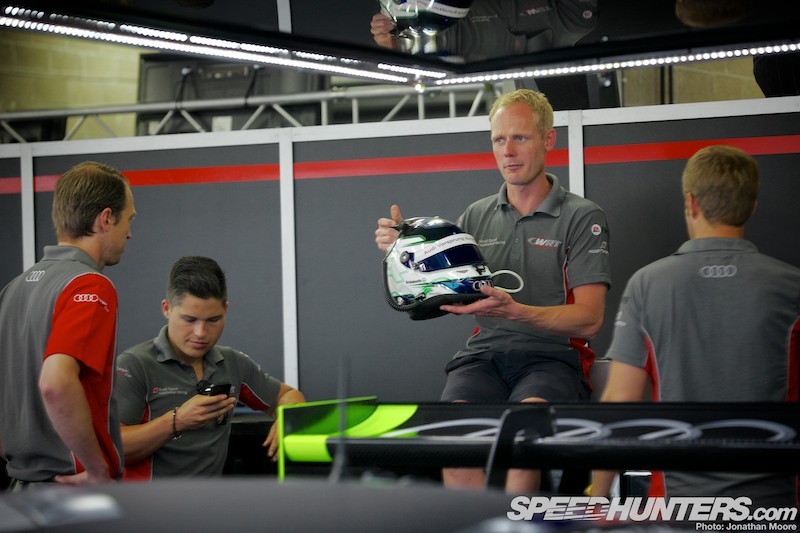 We’d check the data between sessions, trying to find a good setup and seeing how the car behaved. 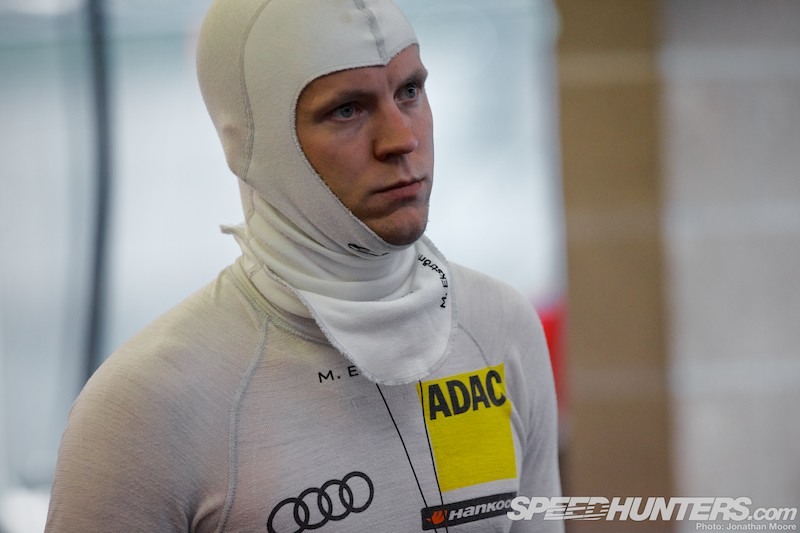 Mattias had brought his engineer from DTM, Florian Modlinger, and his data engineer Michael Petit. 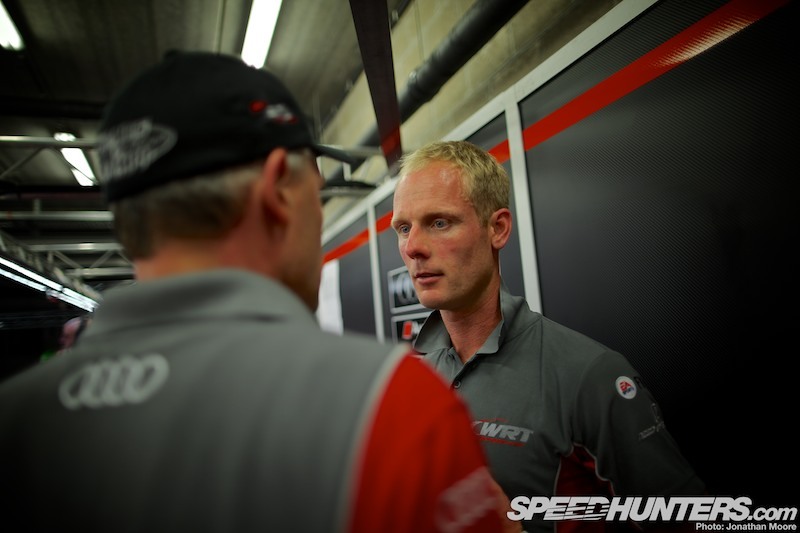 It was a great compliment to WRT and really boosted our work with the car. 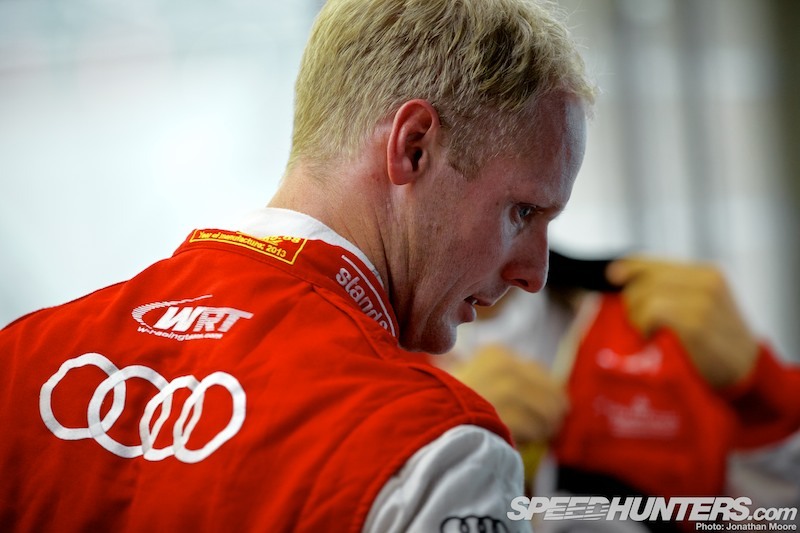 Mattias drove in the afternoon Pre-Qualifying, but had too much traffic. The #1 WRT was in fifth, but we were back in 30th. Still, in general we were quite happy with the car and managed to find some changes that improved the behaviour. The plan for the rest of the evening was to give one driver all the new tires to see if that could help to squeeze out a good time. In the evening qualifying, as the light faded away, #1 was in 21st, 17 seconds off pole and we were 32nd, 2.2 seconds away. I must say my gut feeling said that we should have put new tyres on at the end of this session, but we didn’t and in the end that was a mistake. We saved tires to have two tries in the night session… On the timing sheets for Night Qualifying things looked better, with #1 fastest and us in seventh. But really it was because the cars who were already safely into the SuperPole session didn’t bother pushing too much to put in any good times on new rubber. We did, but had a misunderstanding that destroyed our chances during Marcel’s last try. Our times just weren’t quick enough to make it into SuperPole. 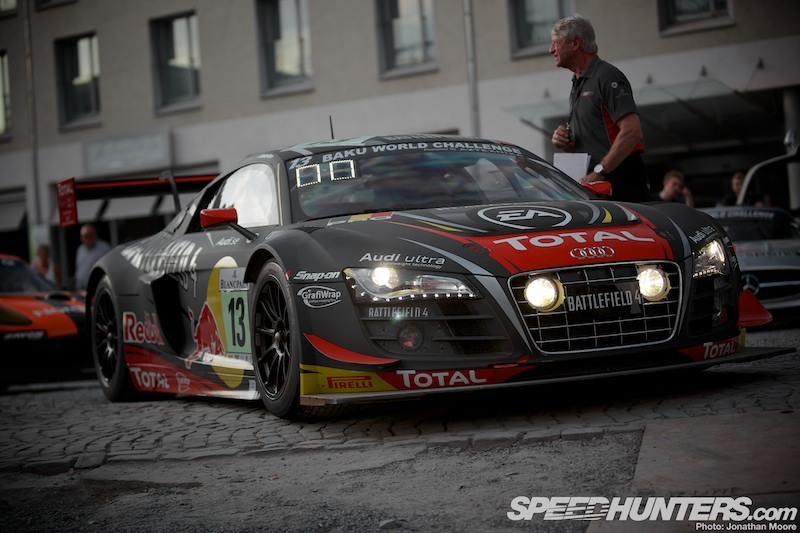 Of the four WRT Audis, only #1 made it in, and they only set 20th fastest time. 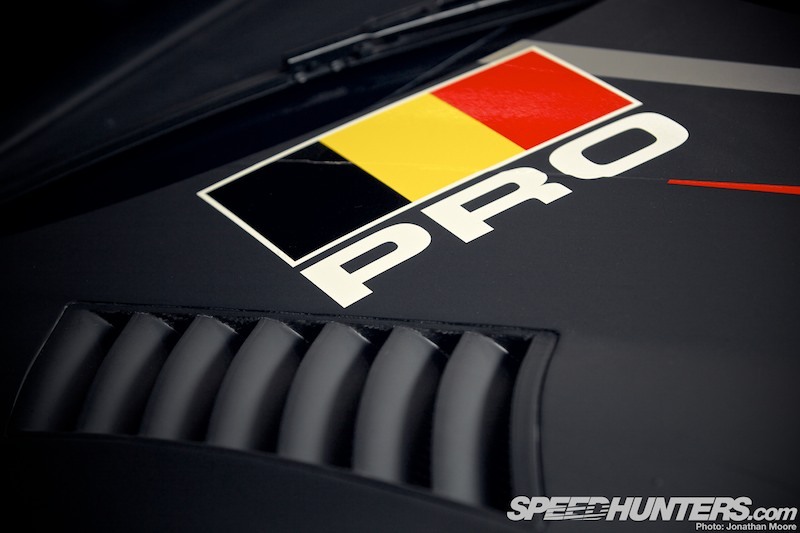 It was a great achievement from Laurens Vanthoor to make it into the SuperPole. But knew from the beginning that we would have no chance in the SuperPole if the weather didn’t change – it was just too hot. So, to race day. In the early afternoon the engineers fired up the cars in the garage and started heating everything up. On the dash they’ve a special window so they can control all things. 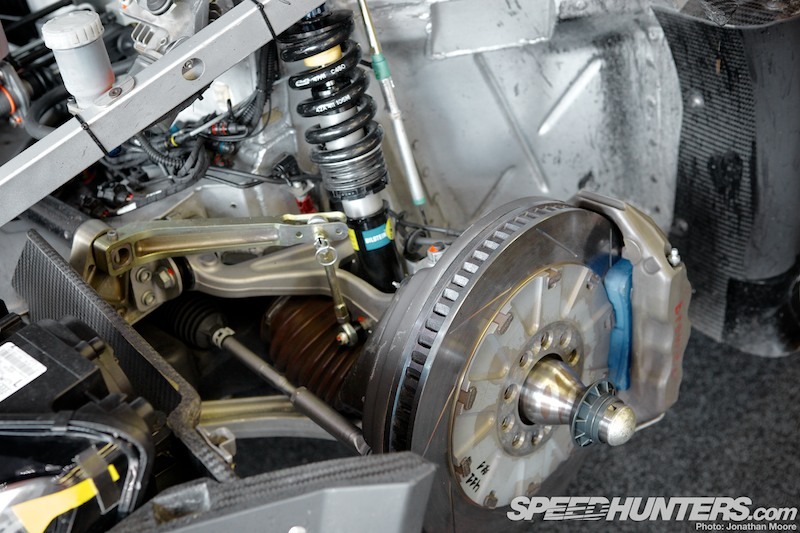 They go through the gears to make sure to get some heat in the gearbox in particular. If the car isn’t warm enough it will be in a safety mode until the temperature is correct. You don’t want to be on a race track in safety mode. Around 2.00pm it was time to get the cars rolled out onto the apron. It was a tight squeeze out there, but we use wheeled trolleys so the mechanics can move the car about more easily. They then topped up the tanks. How much? As much as you can! The garage looked huge with no cars in, which I never thought about at the time. But four cars is a lot of cars for one team. I prefer two. Car #13 was last to be pushed out onto the pre-grid, which I think was just a coincidence. The sun would anyway heat things up. The reverse pre-grid on the hill very busy – it seemed strange to do it there, and with the Aston Martin on pole position at the top of the hill. Most of the Audis were starting in a pack in the midfield – four of us across rows 16 to 18. With equal quality of the drivers, the result was a good indication of our pace. Laurens did try to overcompensate for the BoP, but ended in the tyre barriers in the SuperPole. I guess that shows how much we had to push to be competitive. Mattias started our car – it was really hot. So I helped to bring him everything he wanted for the race, including a hat full of water to help cool him down before getting in the car. The start went okay, but then there was a bit of a shock for Mattias. He explained to me how slow he was on the straights compared with the others. I just laughed because I knew that for a long time now. Anyway he did a good job. You can’t you do too much when you’ve no weapons. Mattias tried as much as he could. He asked to be let past Christopher Mies in #2 to pass a car in front. He did, and when they were both past he then let Mies back in front. Good teamwork. From our position it wasn’t worth stressing too much in the beginning. Everything would happen during the first pitstop where our plan was to short stop and only change the rear tyres to gain track position. It worked fine. 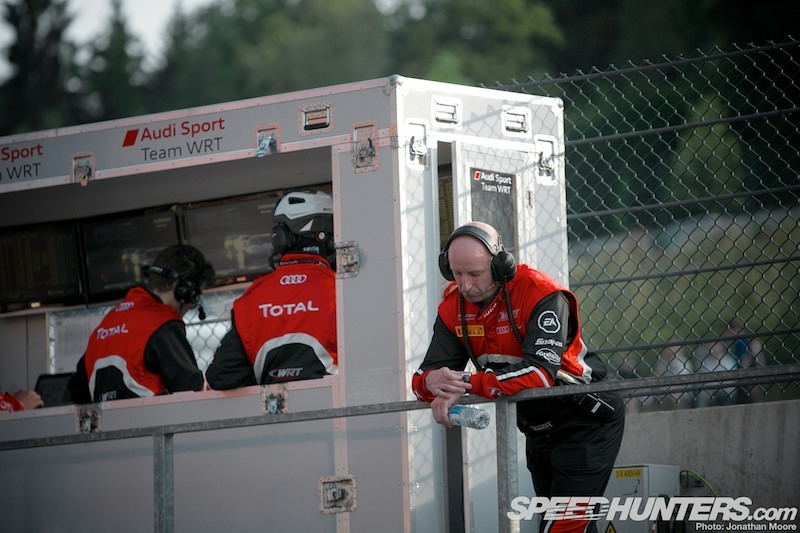 There were a couple of safety car periods and all drivers in the R8s suffered badly from the heat. It was extremely hot in the car. The hand out of the window was just to get more air into the car. Into the evening Mattias handed over to Marcel. The safety cars didn’t really affect our strategy that much even though they use two safety cars around the track, so it’s easy to lose out. But at the same time you don’t want to dive into the pits just because a safety car gets deployed. Still, we did make up a lot of positions in the opening part of the race, so our strategy was good. 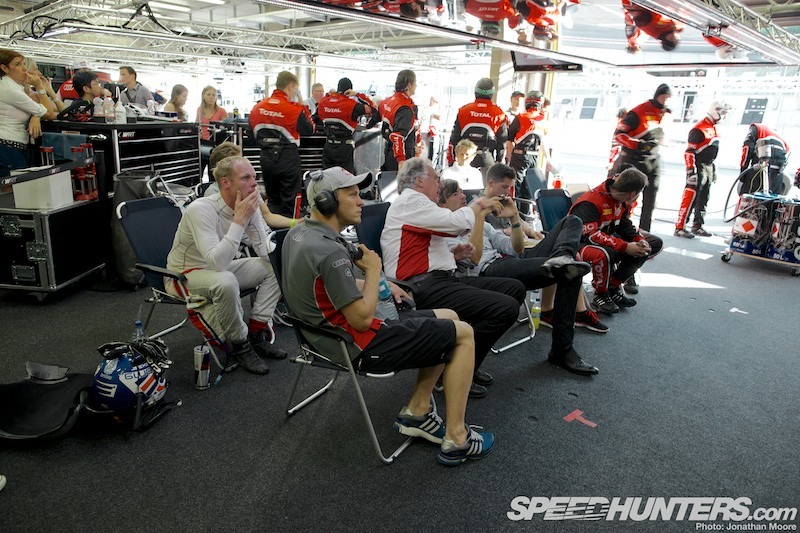 With Marcel in the car, Mattias and I monitored the race on the screens in the garage. We had the space divided up, with #1 and #13 at this end and #0 and #2 at the other, and guests in the middle. Even if you’re not driving you want to be with the crew, as when unplanned things happen it’s better to be close. 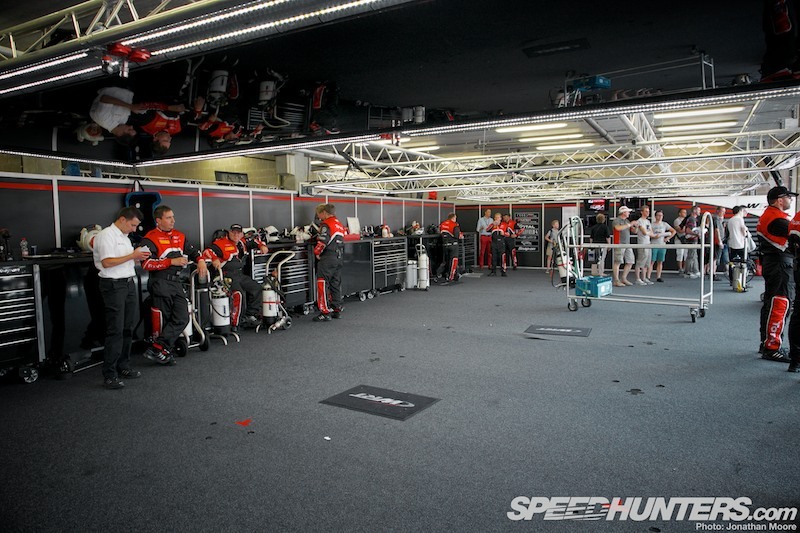 It was busy in the WRT pits during stops. As the the fuel consumption is pretty much the same, all the cars would come in at approximately the same time during the opening phase of the race. Anyway, we had to spread out a bit as we only had three refuelling towers to share between the four cars. But just before I was due to jump into #13, #1 had some problems at their stop. We all had to jump out of our seats for a space to be cleared, and the car was pushed back into the garage. Everyone knows that this space is temporary and has to be cleared quickly if a car has any trouble. It was something electrical, and later on the sensor for the camshaft brooke. I don’t know why, or if it was related to something else. But to lose a car so early was really disappointing. I had to concentrate on my stint. My plan was just to do my job, getting into the race in a smooth way. When you don’t have the speed in the car it’s easy to think you have to push more. But in times like these I think you try to win by avoiding every small problem instead, and maybe even taking less risk. 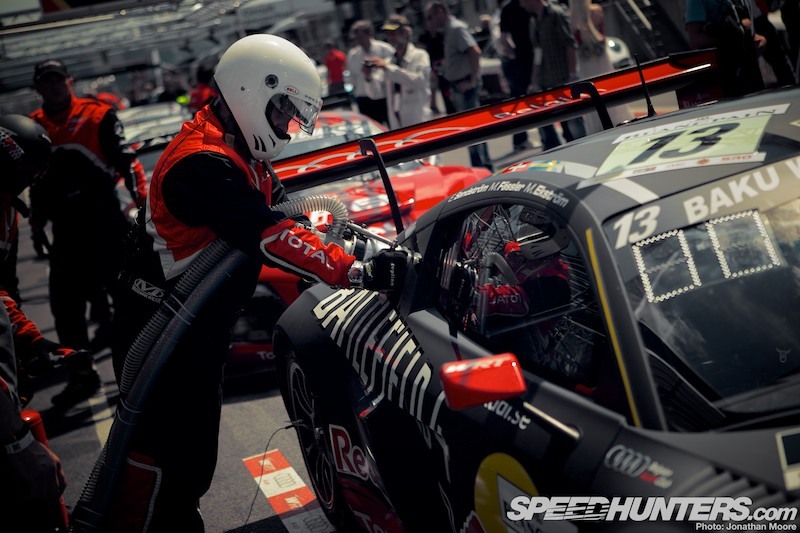 In a 24-hour race you can either win because you’re the fastest and just unbeatable, or you can have a decent result by good teamwork and good strategy. The latter was my plan. Stretching is very important of course, just to wake up your muscles a bit to get ready. When you exit the pit the race is full on, and you’ve got to ready straight away. I felt good as I took up position, but everyone climbing out was nearly collapsing from the heat, so this was the only thing that maybe would be a problem. Anyway, I’m used to dehydrating and had prepared for it. Marcel brought the car in, and the driver change was perfect. No issues at all. I had the helmet cooling on and was ready to go. Finally it was my turn! It’s funny how a 24-hour race might be long in hours, but every seconds counts. In the end the summary always proves that the way to succeed is to stay away from the pit. When your garage is clear, then you can be happy. I did my first stint with old front tyres and had a bit too much understeer, but it was okay and Marcel and I had the same speed with the same configuration. Sadly I never got to drive the car with four new tyres during the weekend, so I don’t really know how good it could have been. Next time… I felt I could do a double, but because Mattias only did a single in the first one before the team decided to change and get back in to the original schedule again. So I didn’t get those new tyres I wanted. I had quite a lot of traffic during the stint, but everything felt okay. The car was good to drive except the old front tyres. I handed over to Mattias at the next stop, who did a really good first stint on fresh rubber. Near the end he had a puncture, but continued with a double stint. But then around 11.00pm disaster struck. 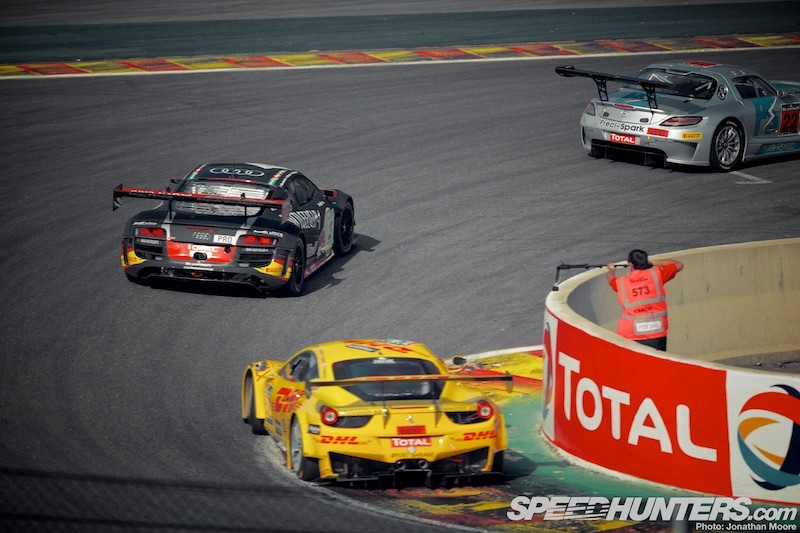 Marcel was in the car and tried to pass a Ferrari on the left side after Blanchimont. Unfortunately the Ferrari driver didn’t see him and they had contact. Marcel hit the barriers quite hard, but was luckily okay. But the car had heavy damage as you’re flat in sixth gear there, at about 250km/h. So it was all over. Yes, I’m a bit fed up about retiring, but I know the game and the risk. You just have to deal with it. Only #2 was still in with a chance come morning. They made their way towards the podium, which was helped by cars dropping out. For sure they ran a proper race by avoiding mistakes. If you’re six laps down and still in third position it shows that a lot of cars have dropped out. But anyway, it’s all about to finish. BMW had a terrible weekend with nearly all of their cars retiring. 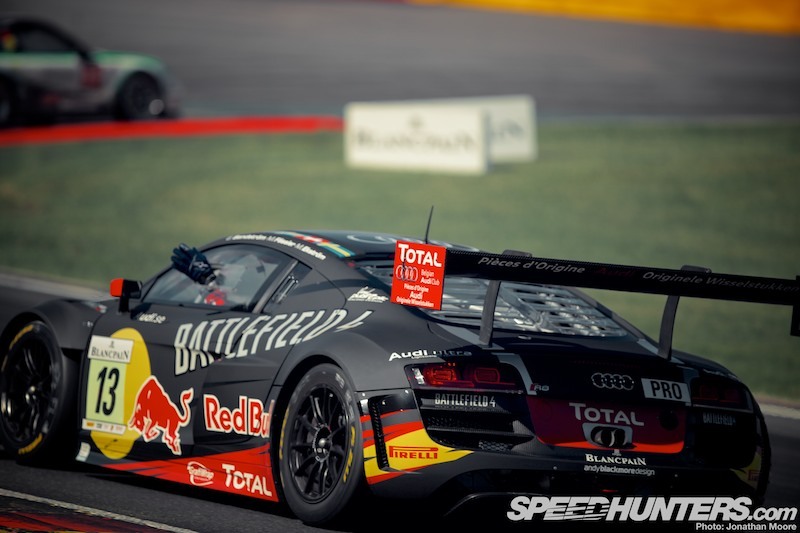 Still, my regular teammates have a good chance to win the Blancpain series with this result, and I’m going to help them as much as I can at the final round at the Nürburgring. Mattias and I had actually left the track during the afternoon. The motivation was all gone. I followed the end of the race by live timing. 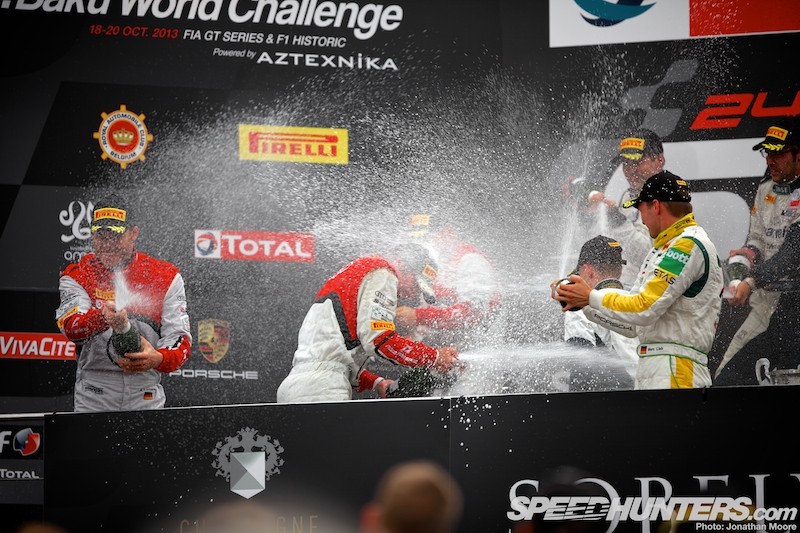 The podium was a positive for the team in the face of the BoP, despite having started with four cars. It was a great reward for a team that never gives up. 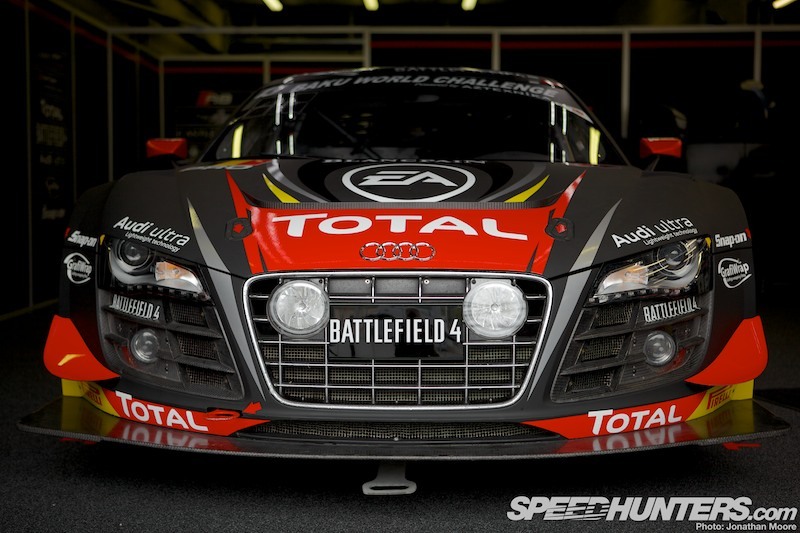 They deserved a good result, and again it showed the R8’s good reliability. 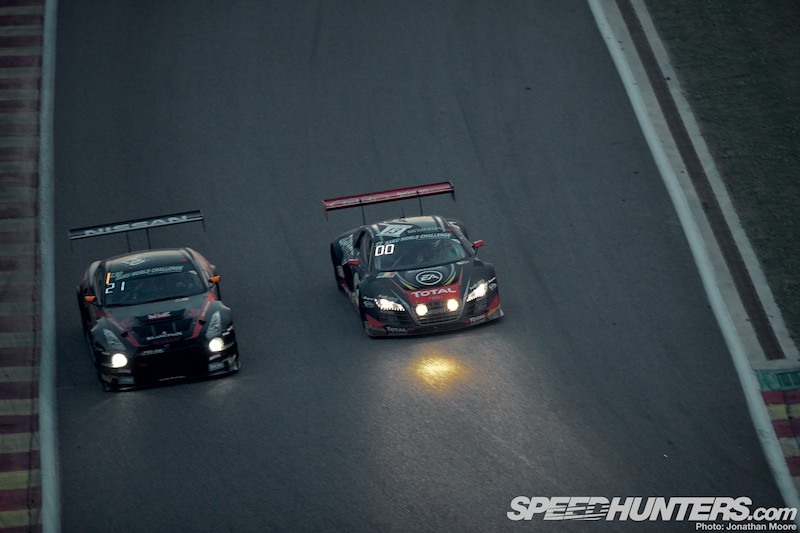 So, there was an Audi on the podium, but the win went to Bernd Schneider’s SLS, with Manthey also there. My crystal ball said this to me before! But my hopes were to be there as well. Anyway I’m quite persistent, so I’ll try again. So, for me a trip to Davos and some mountainbiking is on my calendar. 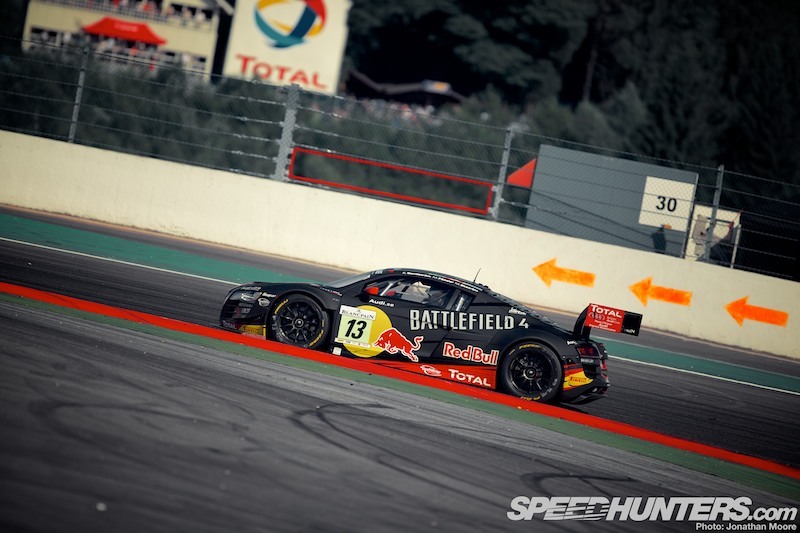 After that it’s time to attack for the Sprint crown in the FIA GT-series. I think it will be a interesting autumn. And now it’s about time to find out what to do next year as well. My three days of being sour is now over. I look forward to pushing hard again. They who never do anything will never fail, but neither win, so I guess we’ve to find a way to strike back hard. 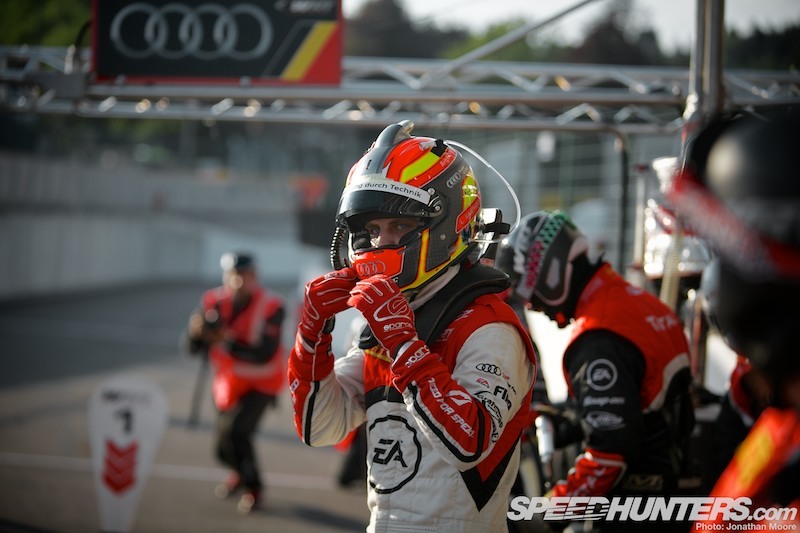 Thanks to EA, Red Bull, Audi Sweden and WRT that made this possible. 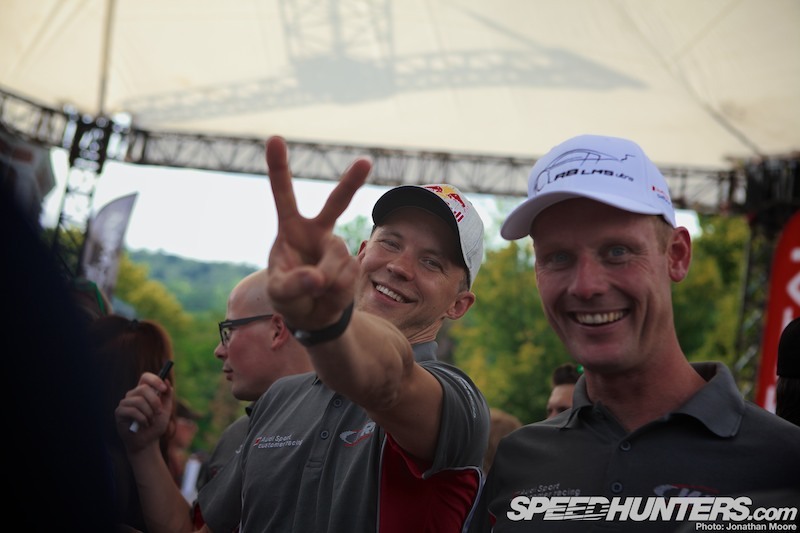 Now I’ll go back to follow the Finnish rally. It’s something special.